My previous post reviewing the London Aquarium originally had some extra words in it. I decided to edit them out and put them in this separate post as I felt it was fairer for the brand to leave the original review post as a happy, 'pure' account of what is a great attraction. However, it seems I can't leave the other words unwritten, so please do bear with me. Recently I read this post: The parents who cannot leave the house with their own children. I'm sure that most people looking at my Instagram or Facebook feed this week will have assumed that we had the perfect, easy day out. The perils of social media. This sort of trip might seem like an exciting adventure to other children. A trip that the parents know would be worth the money, because they'd take their time seeing the sights, both outside and inside, and probably enjoy a leisurely family meal somewhere along the way. Nope, that's not it for us. A trip that almost doesn't happen, a trip that causes travel sickness and extreme anxiety before you've even left the house, a trip that is whizzed through and 'enjoyed' at breakneck speed, while you tiptoe through trying to make it as accessible and 'fun' as possible for two very different children. A trip cut short for your non-autistic sibling who could be doing so much more. 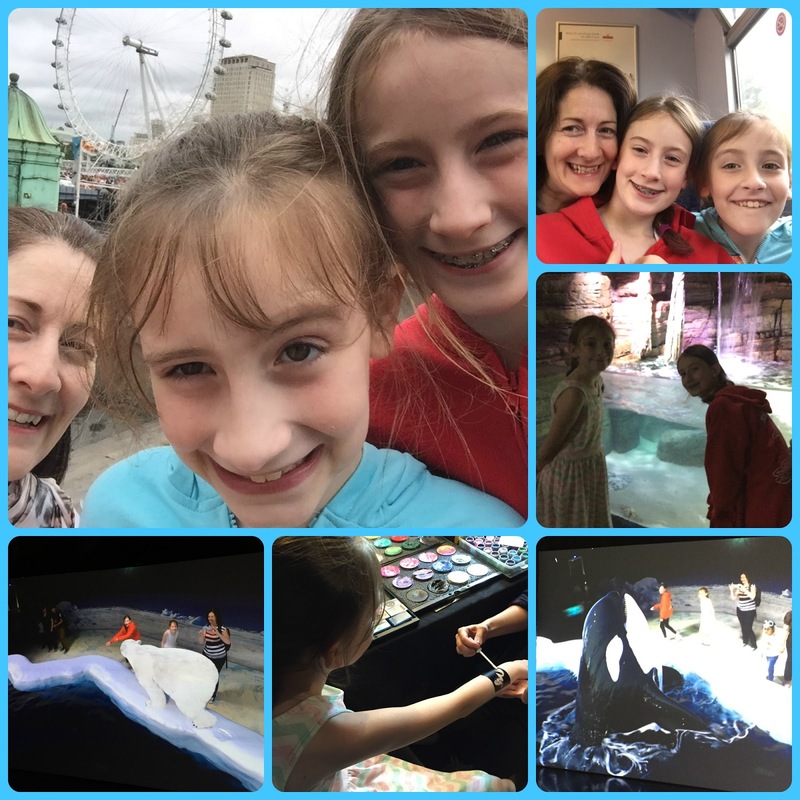 A trip that you wouldn't have made if it wasn't for the fact that you were gifted free tickets to do a review, because the thought of throwing that much money away if your child refused to go is unbearable. We can never be sure that our girl with Pathological Demand Avoidance will agree to leave the house; she's not at all keen on travelling anywhere as she gets highly anxious at even the thought of being travel sick. Cars or trains, both equally unpleasant for her. What may appear from a Facebook or Instagram feed as a fun day out in pictures may not be quite so simple in reality. For us, it means doing literally nothing except staying at home the days either side of a trip, to keep calm before and destress after. The trip has to be to a place that Sasha has an interest in - no Natural History museum or carnivals or guided tours for us for example. Luckily, Sasha loves fish! There's rarely an easy day out for a family living with PDA. I can appreciate how many places and activities I could access easily if I had two children like our eldest girl (by that I'm not in any way saying I don't love our youngest of course!). We did make it out this time, and it was well worth it. We have been lucky to experience some brilliant opportunities through my blog, but holiday times often bring home just how isolating and unlike everyone else's 'normal' our free time is. We manage, we juggle, and we do have support at times, which I know some other families don't have at all. It's easy to get lost in the moment of what's difficult for your own family, especially if you suspect that all the others around you are having so much more fun. There may be many other reasons why other families are feeling similar; lack of money to access top attractions, poor health of family members, parents having to work in the summer holidays etc. I suspect most families have their up and down times. Another blog I'd urge you to read is over on Selfish Mother - The future I'm trying to change. Imagine not wanting to leave the house because you have no idea where you could safely change your child? So anyhow, I'm not complaining, I just feel it's important to highlight the differences, for other families living with autism and PDA who may be less fortunate than us. Often, all they need is a little understanding. Maybe you could ask if there's anything which would work for those families you know with autistic children? A short family visit to their house, some time out separately for the siblings, or a meet in a park which is local and known to them? Not everything is impossible, often it just takes a bit more thought and planning. That could make the difference between someone feeling lonely and isolated or happy and included this summer.